PCCD has collected data about the health of the county’s streams since 1987. Data is collected about fish populations and other organisms living in the streams, the quality of the water, and the habitat within the stream. The collected data is compiled to fully assess the health of local waterways. Data collected in 2016 has been compiled into a report and is available at pikeconservation.org/watershed-quality-data/. Overall the data collected shows the streams and rivers in Pike County are healthy. In 2016, seven sites were sampled to assess fish populations and habitat. Twenty-two (22) different fish species were found. All fish surveyed in 2016 showed no visible abnormalities. 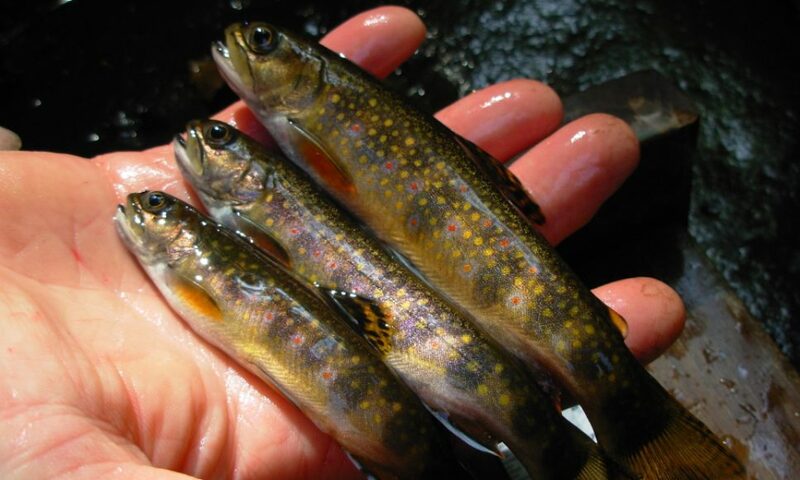 Saw Creek, Dwarfskill Creek, and Pond Eddy Creek all were found to have reproducing Brook Trout. Reproducing Brown Trout were found in Saw Creek and Pond Eddy Creek. All the sampled streams have shown little difference from previous years, and generally show healthy populations. Seventeen (17) sites were sampled for benthic macroinvertebrates, which are the small organisms living on the bottom of streams. Of the sampled sites, nine (9) sites showed improvements in the number and type of organisms found over the past 10 years. The improved streams were Saw Creek, Big Bushkill Creek, Adams Creek, Lackawaxen River, Tom’s Creek, Dingman’s Creek, Westcolang Creek, and Kleinhans Creek. Only one stream showed populations of benthic macroinvertebrates which were considered marginal in quality. Over all habitat, water quality, and aquatic life in Pike County streams is very good to excellent. PCCD will continue to monitor our streams to provide a baseline of stream health and as a watch guard of any potential changes in stream water quality.